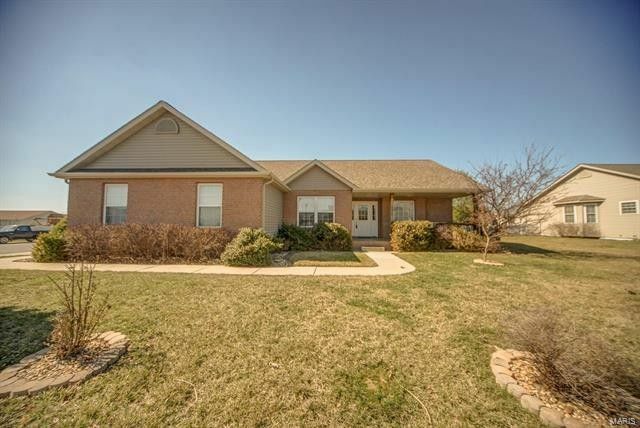 Well maintained home in sought after Lone Oak Trails subdivision is waiting for it's new owner. The first thing you will notice when you enter this home is the abundance of natural light in the vaulted living room with a corner gas fireplace. Adjacent to the living room is a separate dining room that leads to the large eat-in kitchen with upgraded cabinets, breakfast bar, and lots of counter space. Split bedroom plan with master bedroom (vaulted), large walk-in closet, master bathroom, double bowl vanity, separate shower, and jetted soaking tub. The other two bedroom are nice size that share a full bath. Outside you have a large covered front porch, paver patio, over sized, finished 2 car garage all on a corner lot. 1600 sq. ft. down, including study/den, tv area, bar, pool table, and card table areas. There are many extras that stay with the house, so give me a call for your private showing. Thanks, Jim.Furniture in the lower level are negotiable. Directions: West Apple Street to Silverthorne Drive.